Spring is in the Air so Mark Your Calendars! With the beautiful weather the last few days it got me to thinking about how Spring is right around the corner, and then it clicked, we better have our calendar submitted to the IFPA for approval ASAP! I did just that today. They say there’s no rest for the wicked, I say there’s no rest for the competitive pinball scene in 2018! 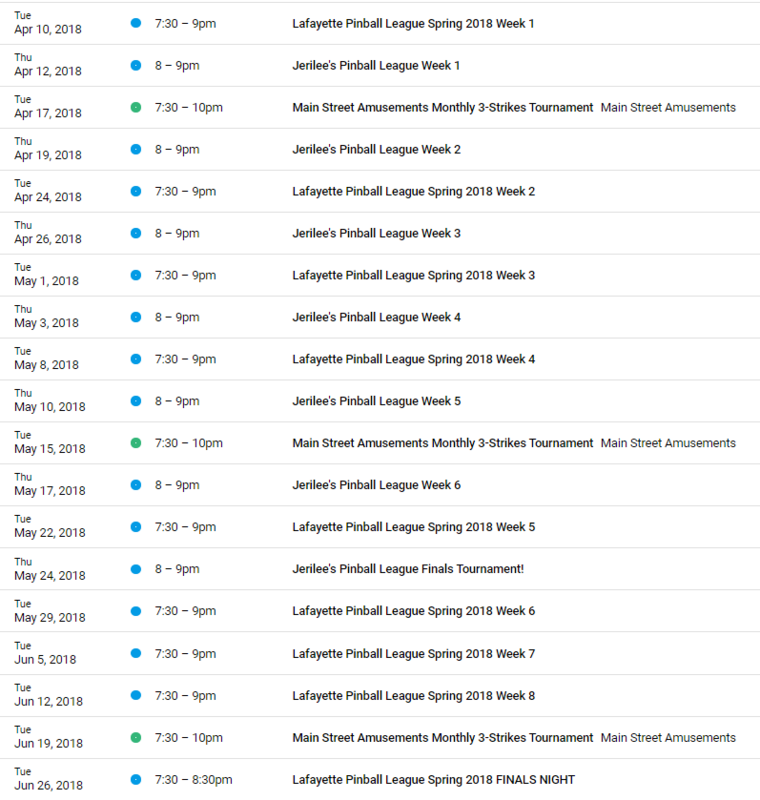 Our Winter Season finals are on April 3rd, and that works great because our spring season kicks off April 10th! That’s right, no break in between seasons this time. The benefit of starting our Spring season right away is that we finish before the 4th of July at which point we will take off that entire month. Everything else about league will stay the same, 4 player groups, 8 weeks, dropping the lowest 2 weeks, and a split division finals event. As always everyone is welcome to come and play. Our website calendar is updated, and below is a picture of all the dates, start times are correct, end times are approximate. 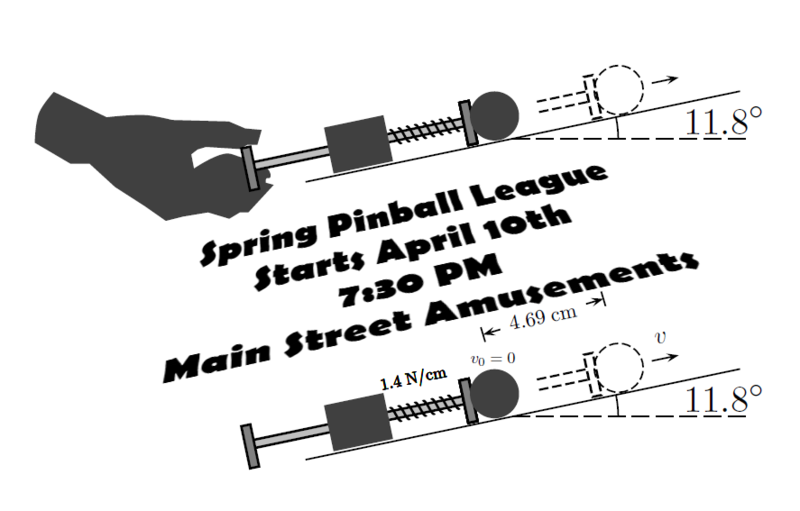 I am also running a league at Jerilee’s that will be IFPA approved on Thursday nights as well. Anyone can play in the league, but finals night will still be restricted to players either non-ranked, or below a certain ranking (8000 and below, or something similar). The IFPA results for this league will only be based on the 6 weeks of play.